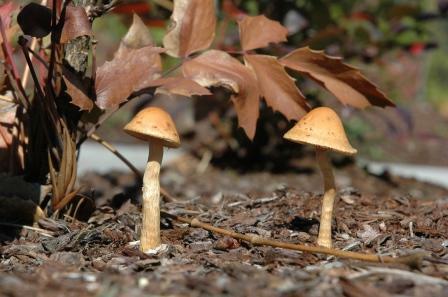 Found these two little mushrooms all by themselves in a well manicured area of shrubbery. Nice picture. And to think I had a hard time coming up with an idea. So simple but nice. Wat did 1 shroom say to the other shroom...? Personally I found it funny 7. They are funny... could have gived bigger size picture. I like the symmetry, and the focus seems just right too. Good concept. Looks like possibly some nice texture in this shot. Seems like focus could be sharper, hard to tell with being so small. You should use the full 640 allowed, it will show much more detail and will bring higher scores. There are tutorials on the site about sizing when submitting photos if you need it. Proudly hosted by Sargasso Networks. Current Server Time: 04/18/2019 11:19:16 PM EDT.